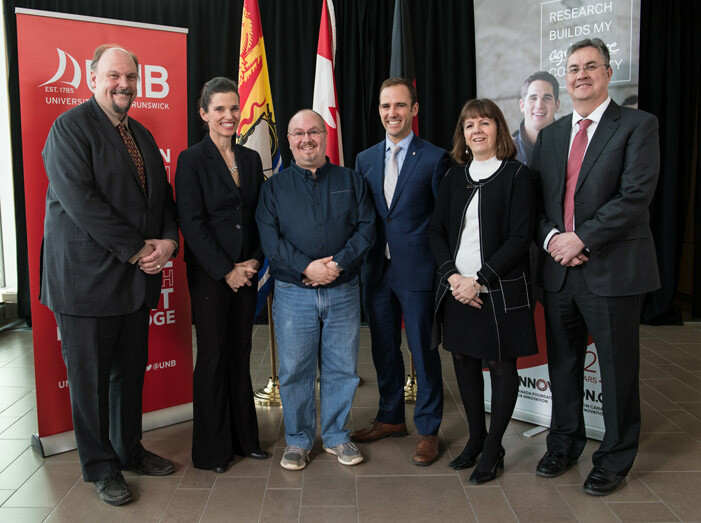 Today, the Honourable Kirsty Duncan, Minister of Science, visited the University of New Brunswick Fredericton campus to announce the recipients of the 2017 Canada Foundation for Innovation’s John R. Evans Leaders Fund awards. This funding helps Canadian universities and their researchers acquire infrastructure to create state-of-the-art facilities that undertake cutting-edge research and technology developments. UNB is receiving $150,000 from this fund for a confocal microscope to observe, in 3-D and in real time, how cells grow, change shape and move through tissue. This will allow UNB researchers, like Dr. Bryan Crawford, a developmental biologists and associate professor of biology at UNB, to better understand how abnormalities in cell growth are linked to diseases such as arthritis, heart disease and cancer. Dr. Crawford with his co-applicants and fellow UNB researchers, Doctors Tillmann Benfey and Denise Clark, worked together to secure funding for the new microscope, which is vital to each of their work. The infrastructure will be unique in Atlantic Canada and will position UNB as a centre of excellence in cellular biology. Dr. Eddy Campbell, UNB president and vice-chancellor, said he was pleased to welcome Minister Duncan to campus for this announcement, saying the funding will help to improve UNB’s growing research capacity. Minister Duncan added that investments such as these are helping to build a stronger Canadian research community. The Government of Canada, through the Canada Foundation for Innovation, invests in state-of-the-art facilities and equipment that are essential for conducting world-leading research that directly benefits all Canadians. In 2017, more than 220 projects at 39 universities across the country will be receiving research funding through the John R. Evans Leaders Fund.